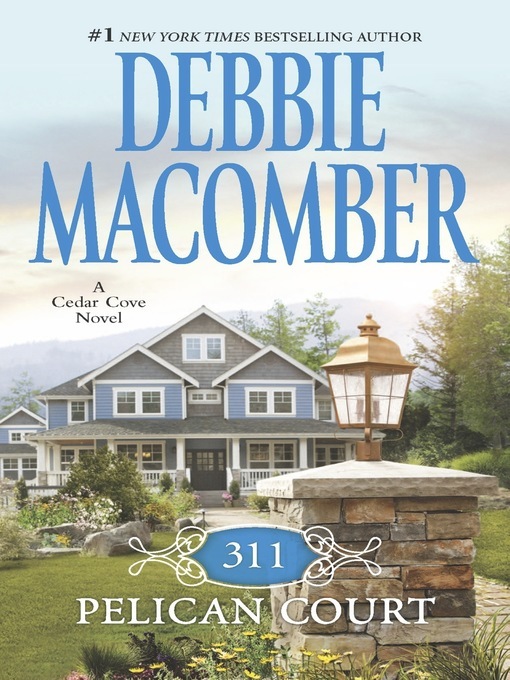 One thing about Cedar Cove--people sure are interested in what other people are doing. Take Zach and Rosie Cox, for instance. Everybody in town knows that they recently got a divorce. Everybody also knows that I decreed a somewhat unusual custody arrangement. It won't be the kids moving between Rosie's place and Zach's. They'll continue to live in the family home at 311 Pelican Court. Their parents are the ones who'll be going back and forth. I have to say I'm not immune to gossip myself. People are asking if I'll stay with Jack, who runs the Cedar Cove Chronicle, or will I get back with my ex?